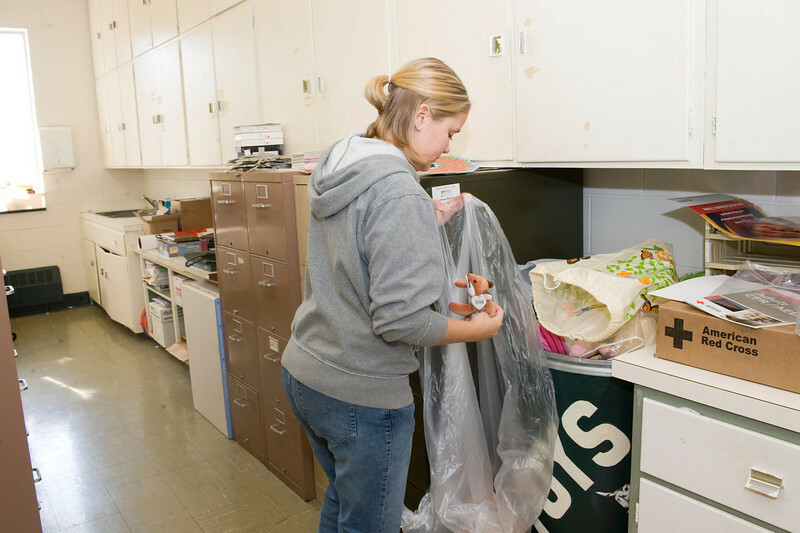 Sean Barry, sophomore helps move office equipment at the Children's Museum. 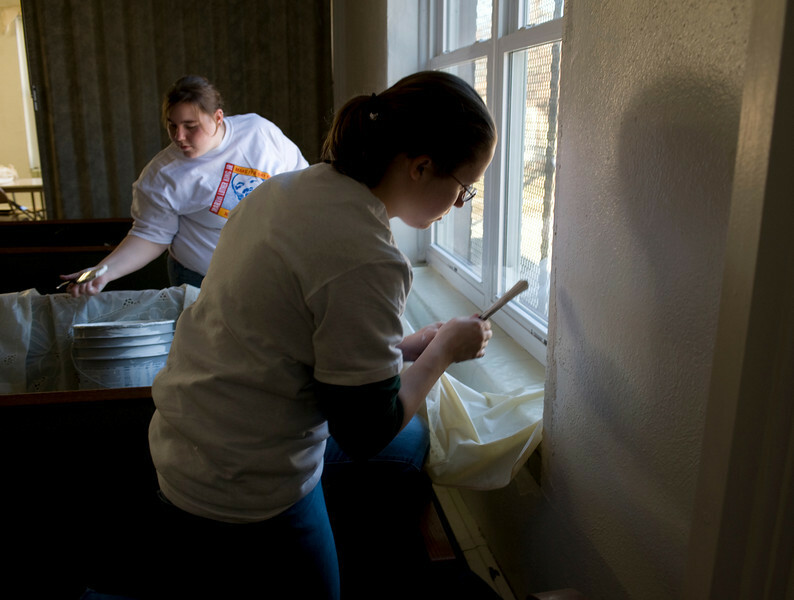 Scharlene Moore, sophomore, and April Elder, freshman, move a couch in order to clean the back room of the Children's Museum. 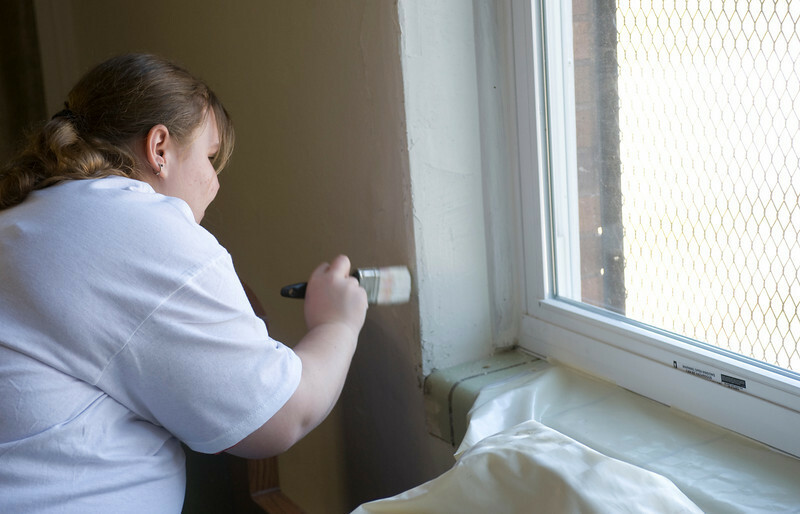 April Elder, freshman, cleans the back room of the Children's Museum. 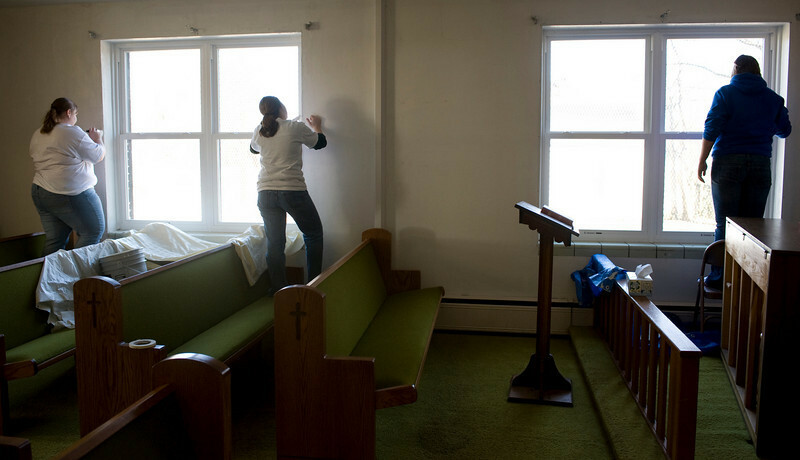 Maureen Brown, freshman, boxes up donated materials at the American Red Cross. 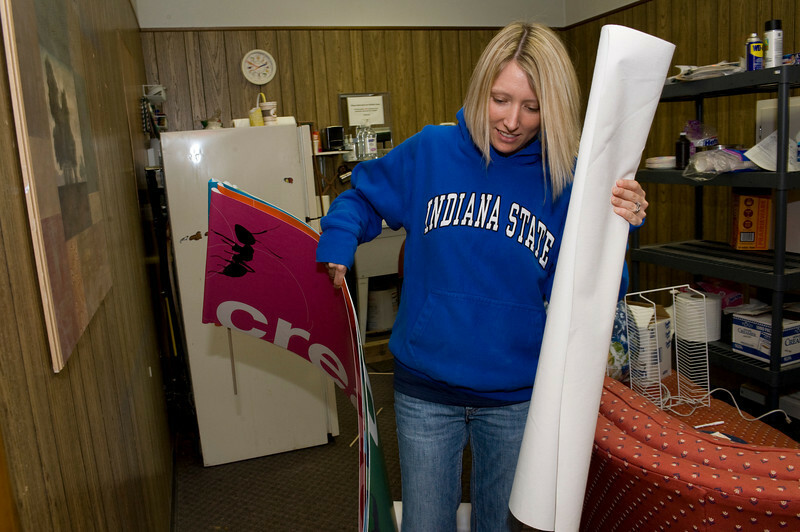 Scharlene Moore, sophomore, moves signs from the back room of the Children's Museum. 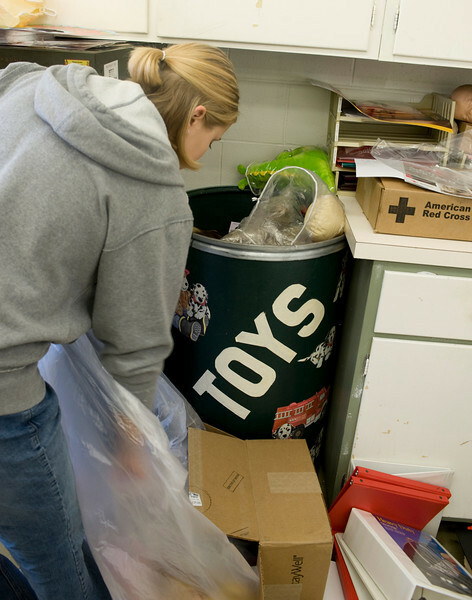 Lori Crowell, senior, bags up donated toys at the American Red Cross on 3rd St.
Nicole Gohman, sophomore, organizes office supplies at the American Red Cross. 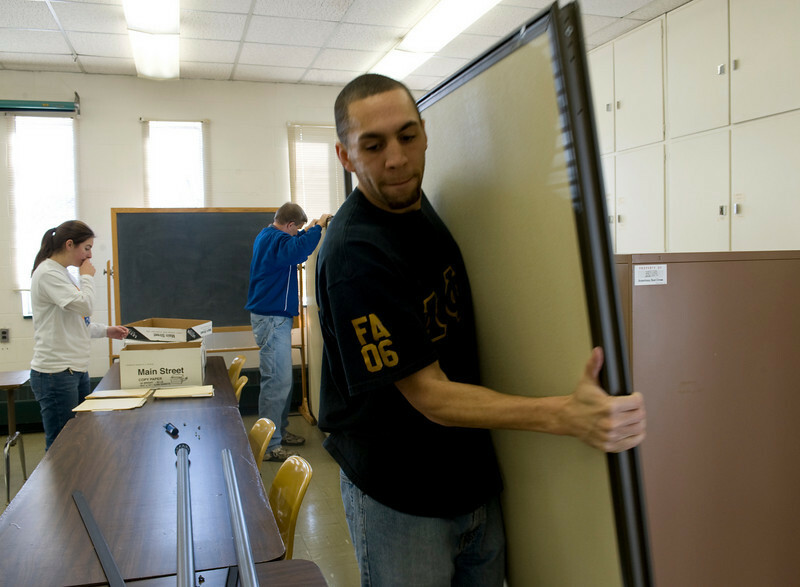 Rylen Peterson, grad student, moves office equipment at the Red Cross while volunteering for his fraternity, Alpha Phi Alpha. 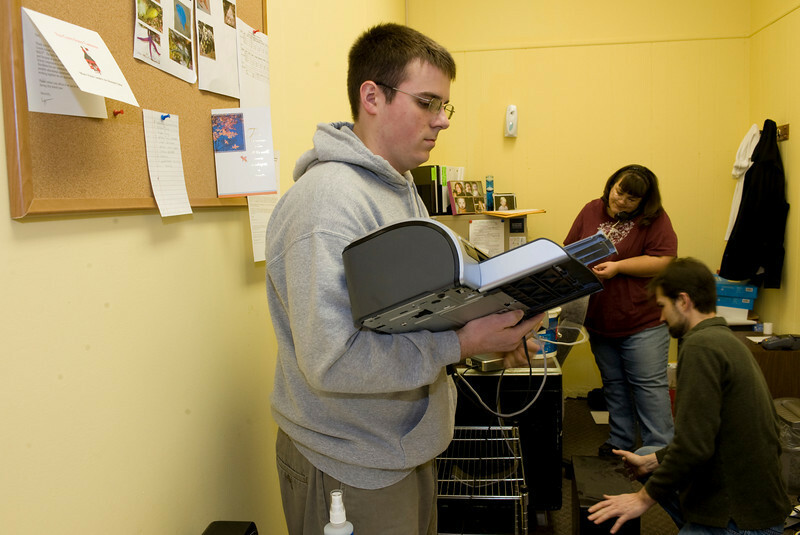 Sean Wright, junior, moves office equipment at the Red Cross while volunteering for his fraternity, Alpha Phi Alpha. 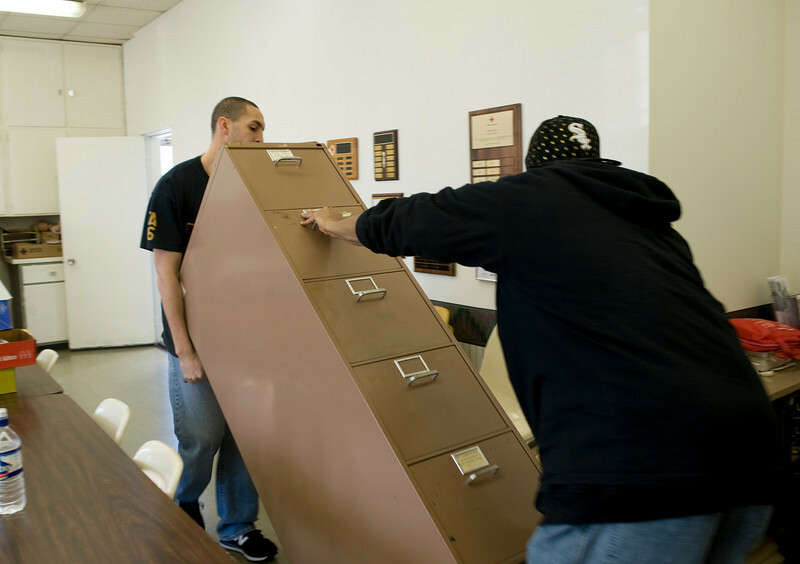 Rylen Peterson, grad student, and Sean Wright, junior, move office equipment at the Red Cross while volunteering for their fraternity, Alpha Phi Alpha. 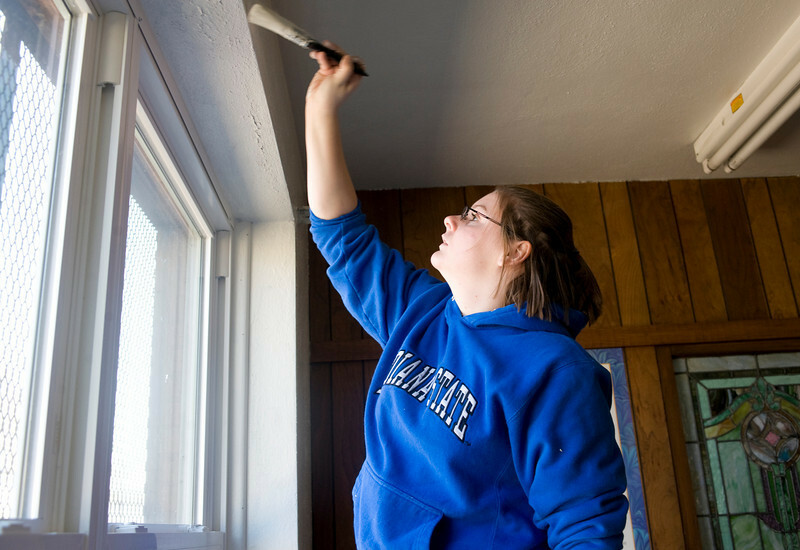 Abigail Miller, freshman, paints the window trim at the Community Center at 14th and Chestnut. 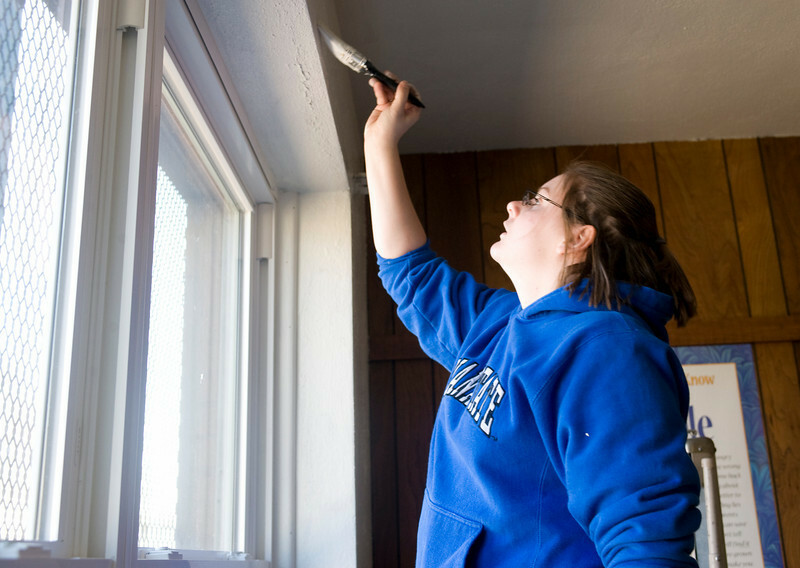 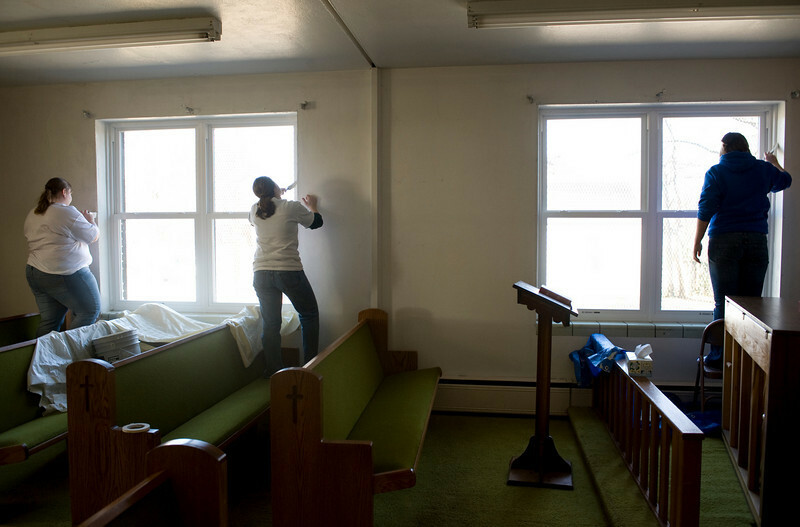 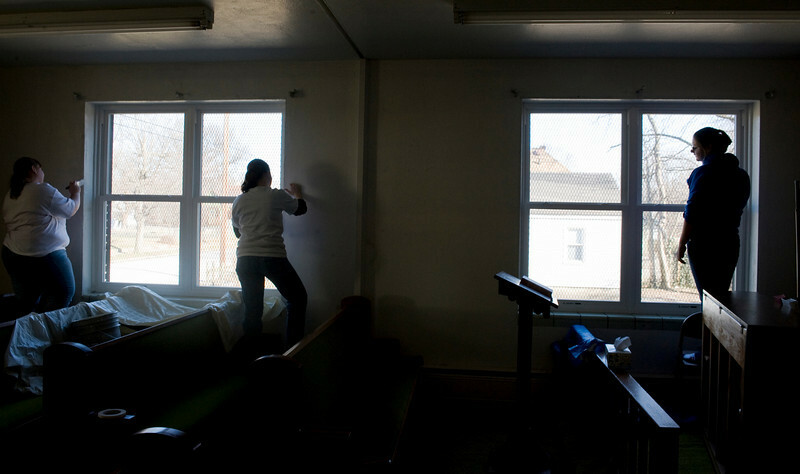 Sarah Rehfeldt, freshman, paints the window trim at the Community Center at 14th and Chestnut. 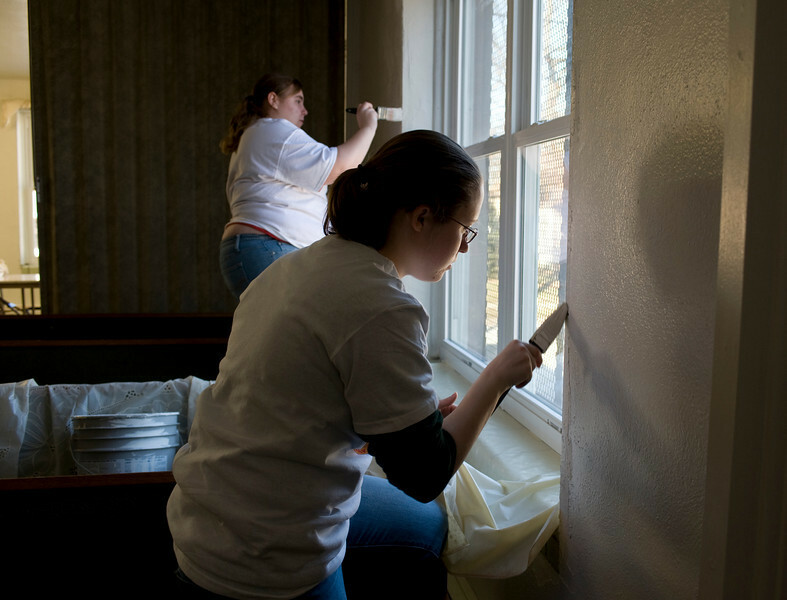 Sarah Rehfeldt, freshman, and Caitlin McCullough, freshman, paint the window trim at the Community Center at 14th and Chestnut. 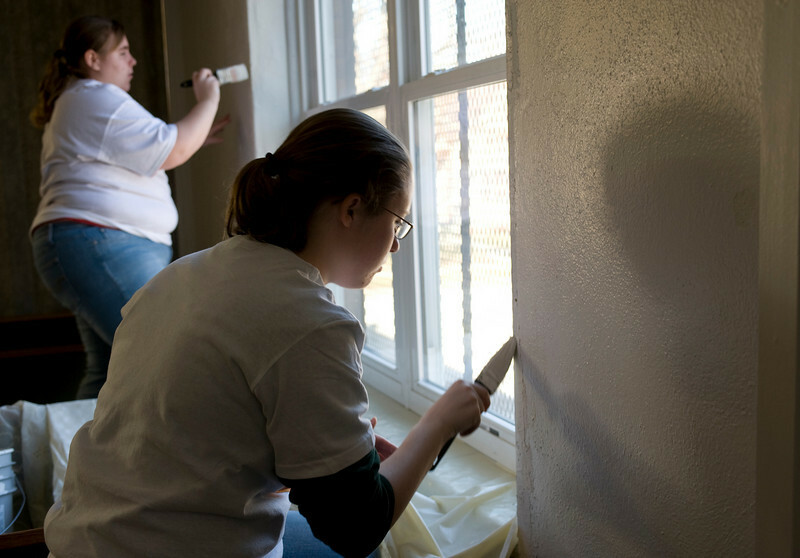 Sarah Rehfeldt, Caitlin McCullough, and Abigail Miller, all freshmen, paint the window trim at the Community Center at 14th and Chestnut. 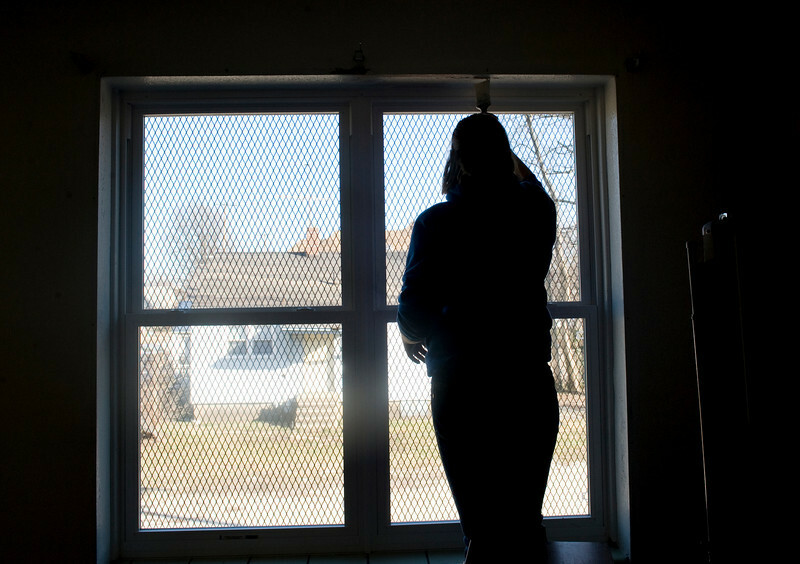 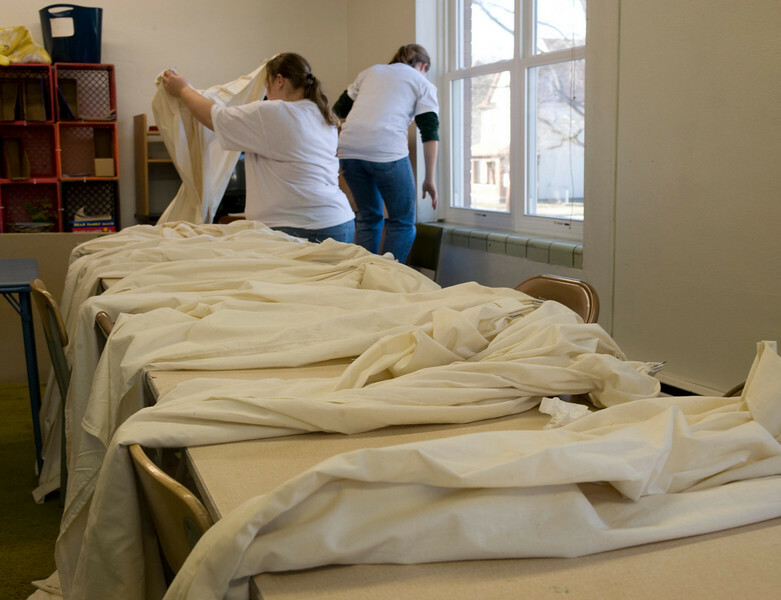 Sarah Rehfeldt, freshman, and Caitlin McCullough, freshman, hang window treatments at the Community Center at 14th and Chestnut.